So far, in my series of posts on LINQ we have covered only methods acting on single collections. Today we are going to look at some of the LINQ methods that take a second collection as parameter. 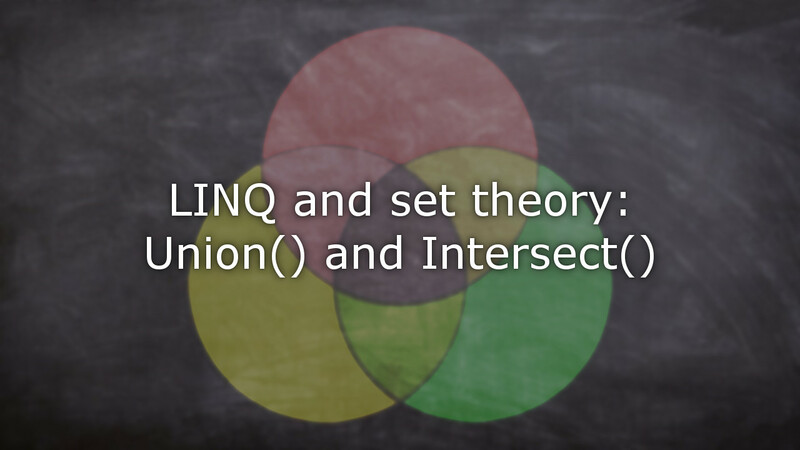 Specifically, we will at the classical set theory operators of union, intersection, and relative complement, which in LINQ are implemented with the Union() and Intersect() methods.